On its third year, TechIsland's theme centers on overcoming challenges, embracing change and conquering opportunities. It aims to empower MSMEs to solve real life business challenges through technology. 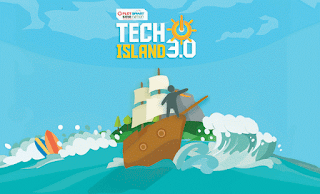 This year's TechIsland 3.0 encourages MSMEs to use digital technology to establish more web presence aimed at expanding their market reach. It took a while but the all-digital future we've heard so much about is now the new frontier. Technology revolution is moving at exponential way. With so much information available on the Web, there’s a bigger chance for businesses to reach potential customers. Tech mobility helps entrepreneurs geographically challenged go online. Now, it is easier to find out who are clicking what, how long they spend on a site, and the type of products/services they are interested in by just checking analytics reports. Everything is about WIFI and data, and it changes the way we do business. There are about 119 million mobile subscribers locally. This figure increases at 4% annual growth in direct proportion to the 28% growth in mobile data. 50 million of the total 119 mobile subscribers in the Philippines are active online. And among these 50 million netizens, there are 24 million people who look for products via the internet plus another 21 million make online purchases. These number shows how big the digital market is. Just imagine where this goes in the future! Online presence will get your company or business noticed on a global scale. Engaging this huge market is the way to go to maximize earning capabilities of businesses. The digital conference line-up of plenary speakers included PLDT EVP, Head of EICB and ePLDT CEO Eric R. Alberto, DENTSU Jayme Syfu Chief Executive Officer and “Chairmom” Merlee Jayme, PLDT Chief Strategy Officer Winston Damarillo, and Uber Manila General Manager Laurence Cua. 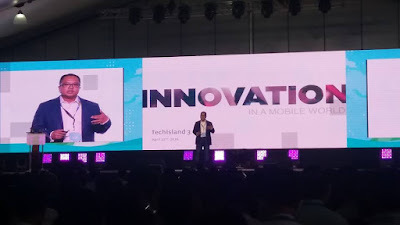 Tech Island 3.0 talk series began with ePLDT CEO Eric R. Alberto. He shared his experiences on how he successfully led PLDT Group’s Enterprise to annual revenue of 65 billion pesos. DENTSU Jayme Syfu’s ‘chairmom’ and chief executive and one of the Philippine advertising industry’s most renowned practitioners, Merlee Jayme tackled the digital marketing trends that really help in the growth of different businesses around the globe. She also discussed about how the modern digital landscape has brought enormous success to companies worldwide. Following these, was PLDT Chief Strategy Officer Winston Damarillo who presented strategies offered to MSMEs that would help them migrate into digital. Laurence Cua, Uber Manila's General Manager, led the discussion on the present traffic problems most MSMEs are facing and how digital technology can be applied to solve it. He talked about the development of Carpooling and its integration into the Uber system. The newly-established Facebook Philippines tackled digital exploration and how Facebook has evolved to become a useful tool for MSMEs. Alfredo Tan, Facebook Canada Group Director of Global Marketing Solutions and Facebook Philippines Interim Country Director also talked on digital trends that are designed to help businesses jumpstart their journey in the digital world. There were amazing solutions launched during the event as part of the goal to help MSMEs. Among these was the Market Builder, a do-it-yourself campaign trigger which enables the enterprises to engage customers who are located nearby. This technology enables businesses to send notifications, announcements and advertisements to customers around the store area. It focuses on taking your business beyond the map through digital. It enables participarts to explore uncharted digital territories in the ever-expanding global market. It highlights digital trends and market activations. Participants get in-depth information on the latest trends in go-to-market activations and take on the newest technology tools that will help them reach greater heights. Delegates learn about efficient streamlining systems and on maximizing resources. The ENGINEER: OPERATION and I.T. Participants get the latest on software security. They learn how to smooth-sail their operations and how to gear it up to become the next game changers. 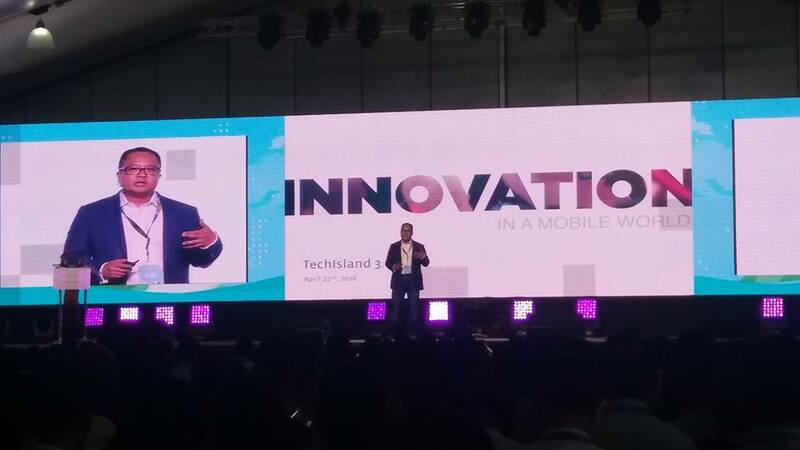 TechIsland will continue to bring relevant technologies and solutions to the MSME sector for the coming years according to Mr. Eric R. Alberto. “We are committed to allocate resources and use all frequencies and technologies available to maximize profit for the MSMEs”. Locsin added, "We've already established that digital is here and it is here to stay. Now that everyone is on it, it's time to challenge the standard business mindset and give MSMEs a new perspective in managing their businesses, capturing and expanding their markets and handling competition. Online is where the action is, and we're giving MSMEs the tools to survive in the digital arena."